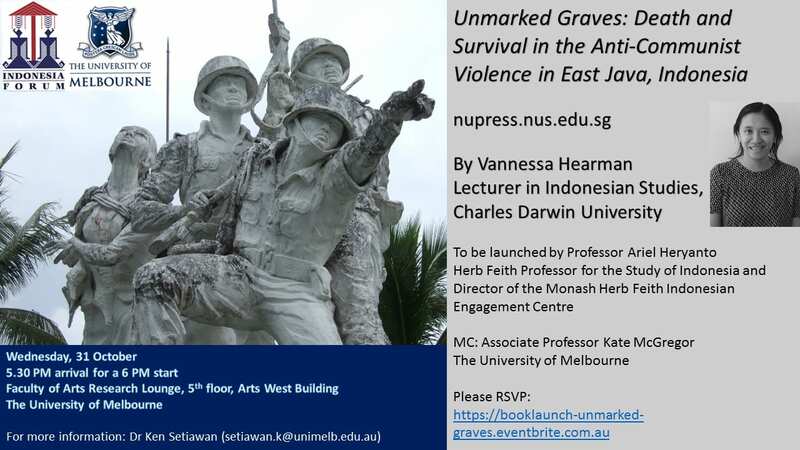 The public lecture tries to look at the underlying structures of politics in Indonesia and the prospects for 2019 and beyond by comparing it with other countries not only in Southeast Asia but also in the Middle East. This can be a useful way to draw out the specific dynamics of politics in Indonesia and its political economy. 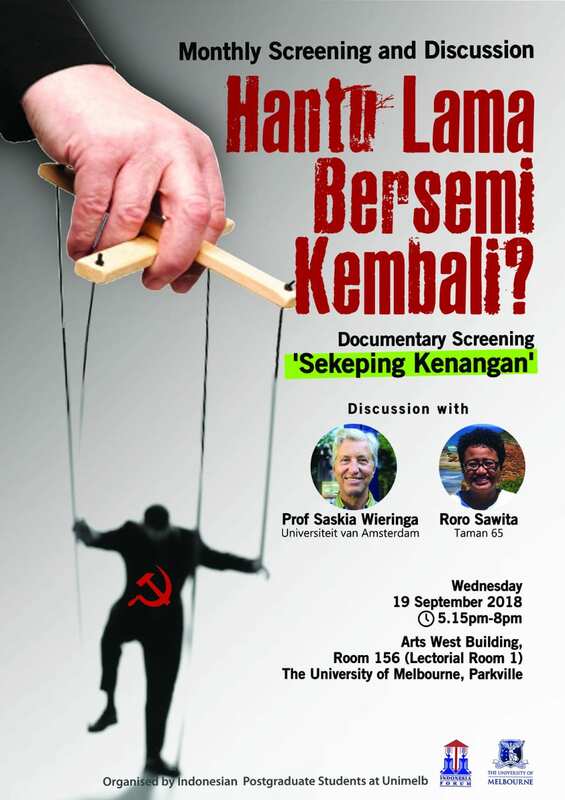 The questions put forward in the discussion would be: does Joko Widodo’s populist politics which has now turned into authoritarian tendency represent a political phenomenon that is unique and if so, why this is the case? Will someone like Rodrigo Duterte ever emerge in Indonesia? What is the possibility that Indonesia might follow the Thai example of return to military rule? Or, could the Recep Tayyip Erdoğan political model ever take root in Indonesia? 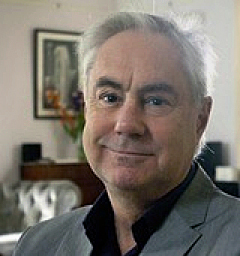 Professor Richard Robison is Emeritus Professor in the Asia Research Centre at Murdoch University. 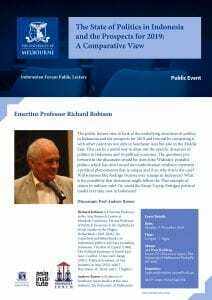 He was Professor of Political Economy at the Institute for Social Studies in the Hague, Netherlands (2003-2006). 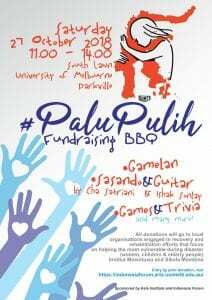 He extensively published books on Indonesian politics and Asia, including Indonesia: The Rise of Capital(1986), The Political Economy of South-East Asia: Conflict, Crisis and Change(2001), Political Economy of Aid Industry in Asia(2014, with J. Hutchison, W. Hout, and C. Hughes). 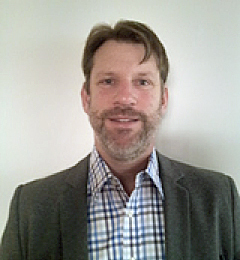 Professor Andrew Rosser is Professor of Southeast Asian Studies at the Asia Institute, the University of Melbourne. 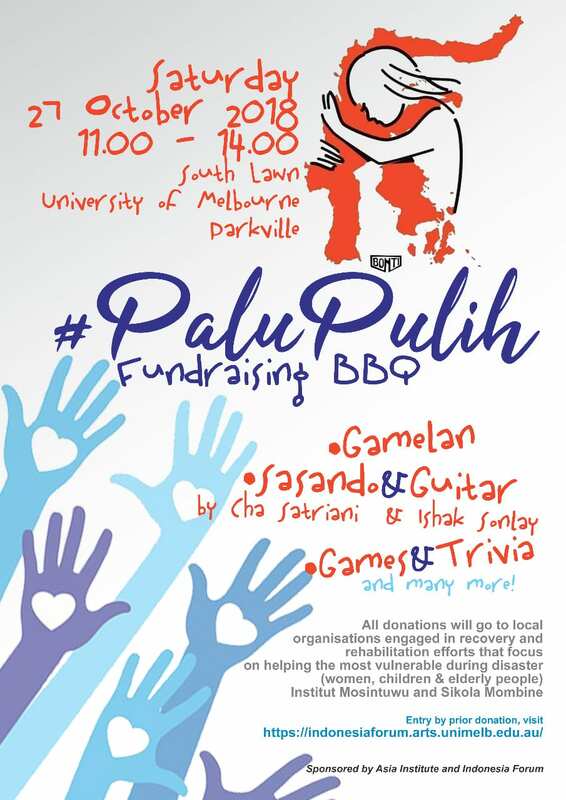 Melbournians, come along to our Central Sulawesi Earthquake and Tsunami Fundraiser BBQ! Sat 27 October, 11am-2pm, South Lawn. Entry by donation: $30 adults, $5 children (use Trybooking link below). All donations go to local orgs engaged in recovery efforts. 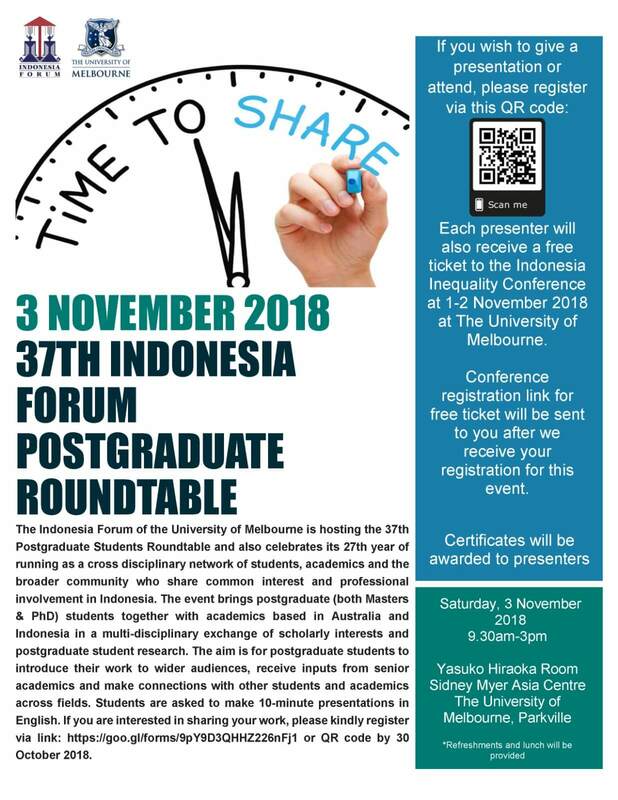 The Indonesia Forum of the University of Melbourne is hosting a roundtable discussion in 2018 for postgraduates who are engaged in research related to Indonesia. 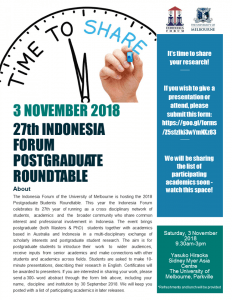 This year the Forum celebrates its 27th year of running as a cross-disciplinary informal and open network of academics and broader communities who share a common interest and professional involvement in Indonesia. 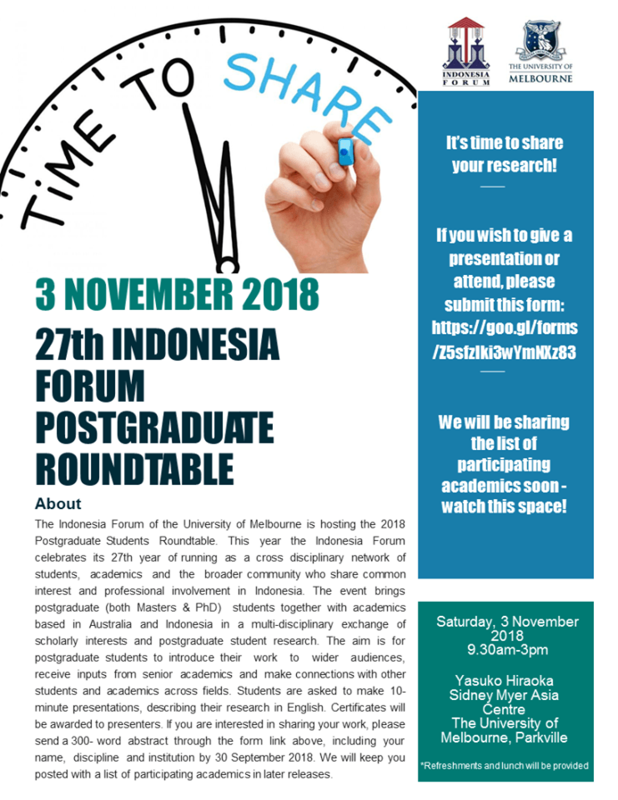 The event brings postgraduate (both master & PhD) students together in a multi-disciplinary exchange of scholarly interests and information and provides an opportunity for networking. The aim is to introduce your work to a wider audience, receive inputs from senior academics and make connections with other students and academics whose research may overlap with yours. Certificates will be awarded to presenters. Students are asked to make a 10-minute presentation, in a panel assigned based on their research areas, describing their research in English. Certificates will be awarded to presenters. Refreshments and lunch will be provided. 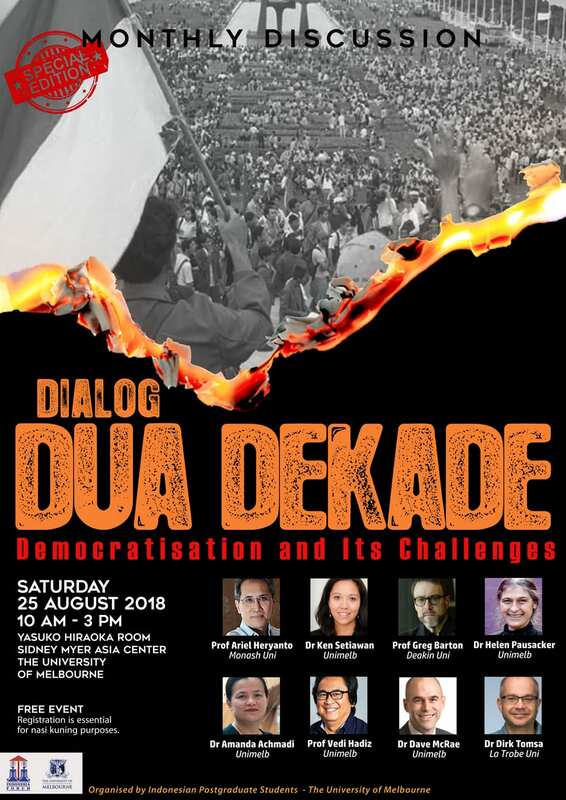 This conference examines the nature, causes, and consequences of Indonesia’s inequalities; the ways they are being contested; and options for addressing them to promote greater prosperity, inclusion and welfare.Income and wealth inequality in Indonesia have worsened in recent years. The country is also characterised by marked inequalities in access to health services, education, social security, and political representation, among other things. These inequalities in turn reflect inequalities of power that have class, gender, ethnic and regional dimensions. 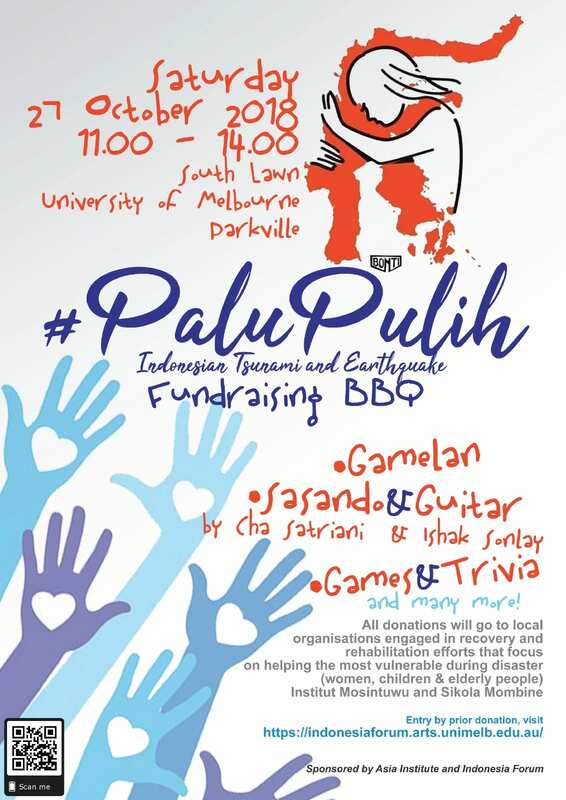 Melbournians, come along to our Central Sulawesi Earthquake and Tsunami Fundraiser BBQ! Sat 27 October, 11am-2pm, South Lawn. The youths, or the millennials, have currently become a new subject that all parties and presidential candidates seek to mobilise them as the new basis of constituencies. 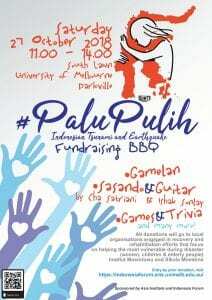 But, who are the millennials and why has this group increasingly become so central in current Indonesian politics? The discussion of this session addresses these questions from two angles. First, from the lens of demographic changes. Specifically, how such changes have produced a distinct group, called the millennials, with its distinct characters and aspirations. Second, from the lens of media and politics. It is apparent that the media plays a prominent role in constituting the millennials subjects. How have the anxiety, solidarity, and collective aspiration of the youth been facilitated by the media? And, how the media and this group are appropriated by the competing elites for power contestation? Ultimately, how do such dynamic would shape Indonesian politics, especially in its relation to the upcoming 2019 election? Broadly speaking, the topic will be on the politics of human rights by specifically discussing the issues of 1965. How do we assess this issue especially under the Jokowi administration? What are the challenges and opportunities to address the human rights violations especially associated with 1965 issue? What are the problems and achievement of the existing approaches or measures? What is the prospect of the human right issues after the 2019 election? 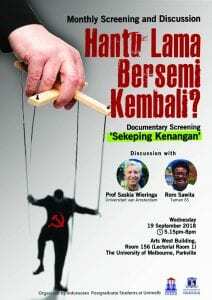 The discussion will be preceded by a documentary Screening “Sekeping Kenangan” (produced by Taman 65, 2018). 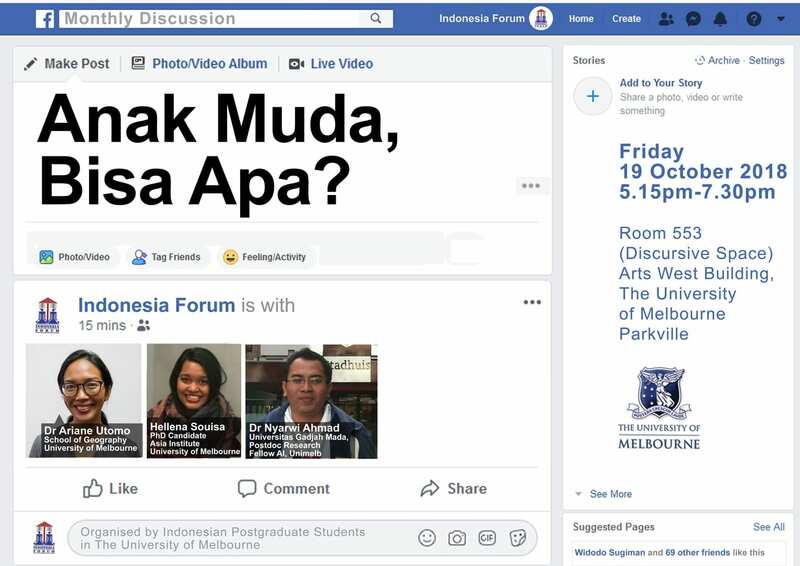 The discussion addresses the current state of Indonesia’s democratisation, by linking it to the challenges for the 2019 elections. Following the demise of the authoritarian regime, institutional reforms have not brought about a substantial change. 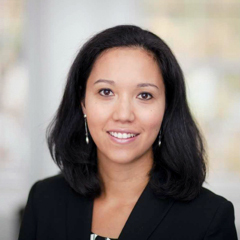 Prominent problems such as inequality, corruption, and human rights violations still persist. Particularly since 2017, the politicisation of identity for electoral contests has been a pressing issue. Not only perpetuating exclusionary politics and thus polarising societies, mobilisation of identity-based politics also significantly influences the workings of Indonesian democracy. Recently, scholars have come to argue that Indonesia’s democracy is experiencing a noticeable setback, even from those who are previously optimistic of democratic transition and consolidation. 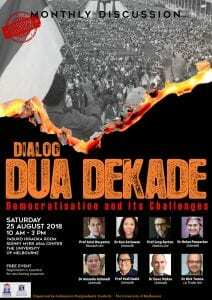 How do we understand the trajectories of Indonesia’s democracy? How do the current socio-political conditions affect the upcoming elections? What are the consequences for the future of democratisation agenda? This session discusses the overview and reflection of 20 Years of Reformasi. This session will highlight the challenges of reform in several sectors, including the issues of foreign policy, human rights, law reforms and political Islam and identity politics.